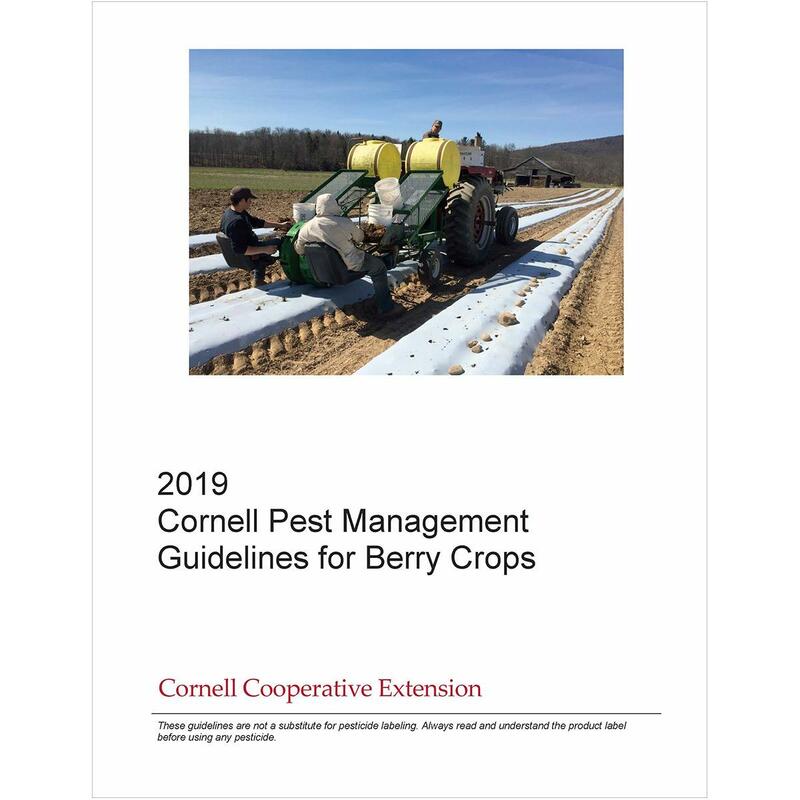 Management Guidelines for Berry Crops provides up-to-date pest management information for blueberry, bramble (raspberry and blackberry), strawberry, ribes (currant and gooseberry), cranberry, and elderberry production in New York State. Supplemental information on wildlife management and harvesting, handling, and transporting berry crops is also included. This publication has been designed as a practical guide for berry crop producers, crop consultants, ag chemical dealers, and others who advise berry crop producers. 2) Online Access versions can be viewed on any computer or mobile device (e.g., smart phone, tablet), contain hyperlinks to additional resources, and may be updated during the growing season. You will need to provide your own e-mail address when ordering the Online Access option; instructions for accessing the online version will be sent to your e-mail address from PMEPMaterials@cornell.edu. (This will be separate from the purchase confirmation e-mail you will receive from The Cornell Store.) Please allow ONE business day for processing and login information to be sent. NOTE: Online access for this 2019 Guidelines title will expire two weeks after the 2020 version becomes available for purchase (target date: January 2020). 3) Buy BOTH and save 30%! If you find advantages in both the printed and online versions, you can choose the Bundle Print & Online option, in which you will get both versions of a Guidelines title for 30% less than the cost of buying each separately. You will need to provide your own e-mail address when ordering the Bundle Print & Online option and gaining access to the online version will follow the procedure described above for the Online Access option. Please allow ONE business day for processing and login information to be sent.